Nylon Syringe Filters - 25mm-0.45um | Simsii, Inc. The range of nylon syringe filter at Simsii is specifically designed for clarification and sterilization of aqueous samples. These filters are used for a wide range of analytical applications. They are ideal for filtration of small organic and aqueous samples due to their low hold-up volume. We have diameter of 13mm, 25mm and 30mm, pore size of 0.22 μm and 0.45 μm. 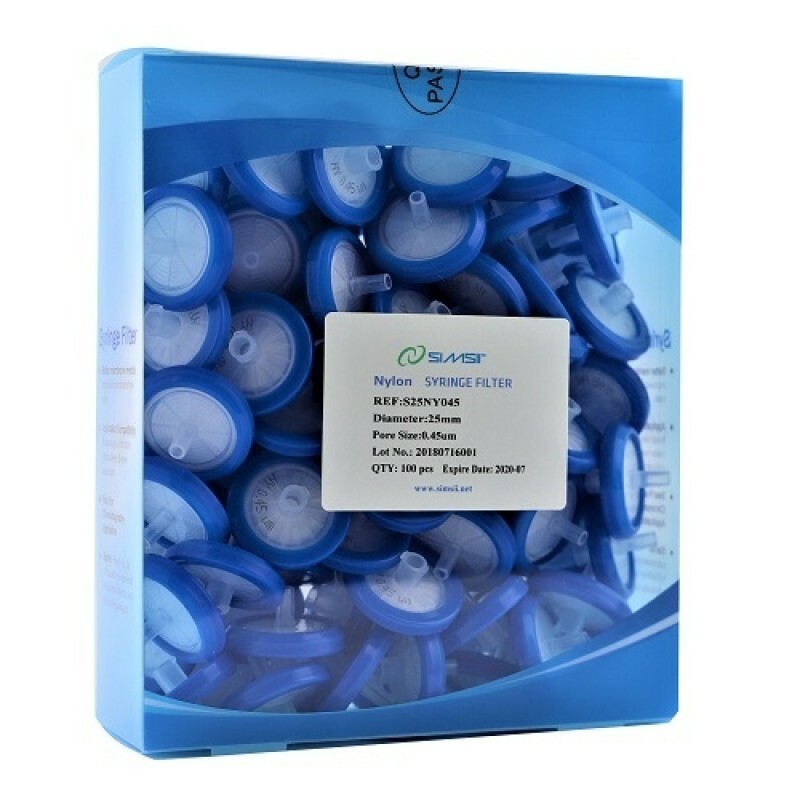 Our hydrophilic nylon syringe filters are resistant to HPLC solvents and chemicals. They have a higher protein binding with better flow rates. These are absolutely clean filter membranes with low extractable levels. We provide these filters in the batches of 100 pieces color-coded and labeled for easy identification. If you need to know more about them, call our experts today.